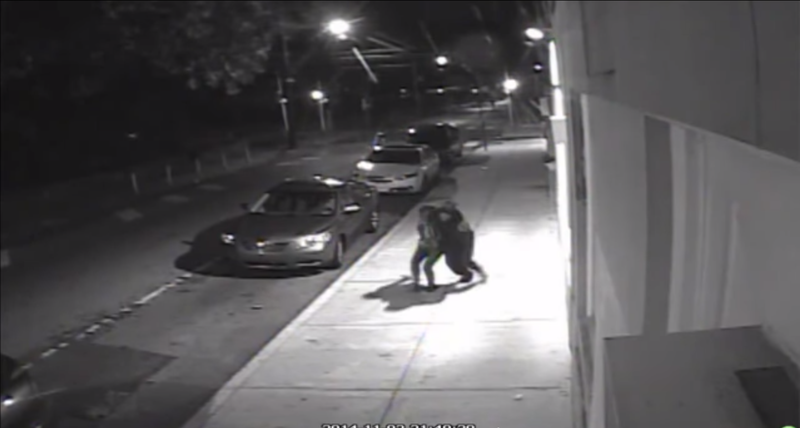 On Sunday night, 22-year-old Philadelphia resident Carlesha Freeland-Gaither was abducted from her neighborhood in a terrifying kidnapping caught on security camera video. The good news is that she has been found safe and sound, thanks in part to an unlikely police aid. Freeland-Gaither was dragged into a car by an unknown man right around 10 p.m. Sunday. She was missing for days until law enforcement agents freed her in Maryland, according to USA Today. Her accused kidnapper, 37-year-old Delvin Barnes, is in custody. USA Today reports authorities tracked Barnes because he used Freeland-Gaither's ATM card in various locations. But the case really broke when they discovered Barnes' car was equipped with a GPS device from the car dealership because he had poor credit. We've written about these before. When dealers have buyers with bad credit or who receive subprime car loans, they often equip the cars with GPS devices so they can be repossessed if payments are missed. It's a practice that has often been criticized as unnecessarily penalizing poor buyers, and also because buyers often aren't even aware they're there. In this case, it sure came in handy for the police and for Freeland-Gaither. Police tracked the car to a parking lot in Maryland where they swarmed it and arrested Barnes without resistance, freeing Freeland-Gaither. It's not clear whether Barnes knew the car had a GPS device or not. Or he did, and he's just an idiot, which may very well be the case considering police say he used his own victim's ATM card. Capt. Jayson Crawley of the Charles City County Sheriff's Office in Virginia told the Los Angeles Timesthat Barnes is suspected of abducting and sexually assaulting a 16-year-old girl in Richmond, Va., on Oct. 1, and may be linked to other cases. "We're thinking that there may be multiple victims out there," Crawley said. "He did intimidate our victim and showed her photos of girls he claimed he did this to before, and we're just hoping if there are other victims out there, they will come forward." Philadelphia's police commissioner Charles Ramsey, speaking with reporters Wednesday, described Barnes as a "thug" and a "vicious predator." Score one for secret car dealer GPS devices!